Millions of people are expected to book holidays in January, with the looming threat of Brexit seemingly not putting travellers off. According to trade publication Travel Weekly, up to 5.2 million Brits are expected to book holidays this month, with January 5 being dubbed ‘Sunshine Saturday’ because of the amount of business expected. Consumer expert Harry Wallop told talkRADIO what to look out for when booking - and what Brexit might mean for your holiday. Will holidays be cheaper if I book now? “Holiday companies put their deals out at the gloomiest time of the year when you’re most in need of some sunshine,” says Mr Wallop. But that doesn’t necessarily mean that travelling at peak times will suddenly drop in price. “There is still that premium for booking - supply and demand means it’s still more expensive to go abroad during school holidays,” he adds. Is Brexit putting people off travelling to Europe? After the UK leaves the EU, there will be a transition period until 2021 in which any new regulations will be implemented, but nothing will change immediately. What happens in the event of a no deal Brexit is unclear, but it doesn’t seem to be putting people off booking holidays. A YouGov survey, conducted last year with foreign currency provider First Rate Exchange Services and the Institute of Travel and Tourism, found the majority of over 5,000 respondents were still planning to go on holiday. 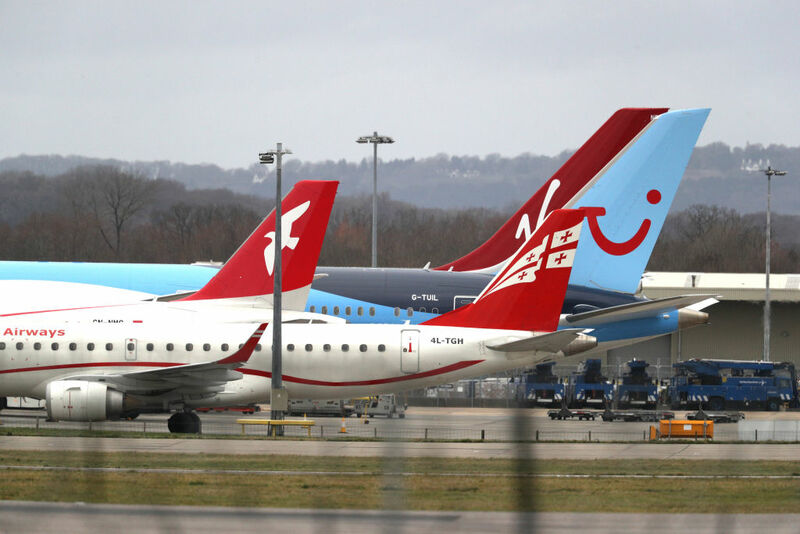 Read more: Grounded planes: What will happen to aviation after Brexit? “Last year, the travel industry had quite a tough time, and that was mostly because of the glorious summer we had,” says Mr Wallop. Will I need a visa to go to Europe? “The travel industry and the government insist that nothing has changed, and everything will carry on as normal,” says Mr Wallop. This is certainly true during the transition period, in which visa-free travel will continue. If a deal is agreed, the UK and the EU are looking to implement visa-free travel for short stays after 2021. But again, if there is no deal, it is uncertain how this could change. Mr Wallop says that travel industry trends show Spain is still a highly popular destination for Brits, showing that Brexit hasn’t changed people’s tastes. What are the best non-European options? If Europe doesn’t take your fancy, it’s a good time to look at going further afield, as the prices of long-haul flights fall. Research by travel company eDreams ODIGEO found a 50% increase in travel to Asia since the EU referendum, and Mr Wallop says that global events impact people’s choice of long-haul stays. “Obviously global terrorism worries do make some places unfashionable. Tunisia fell from favour last year,” he said. If I get travel money now, will it be worth the same when I travel? The simple answer to this is to check the small print of where you’re buying the currency from. “There are one or two schemes where you can do this,” says Mr Wallop. Pre-paid cards from Revolut, WeSwap and FairFX are among the providers that allow you to lock in the rate, although for some, this is only for a limited period, so make sure you buy one that’ll still be locked when you travel. Buying currency from a foreign exchange bureau will generally not fix the rate, says Mr Wallop. “The pound fell very heavily against the euro immediately after the Brexit vote, but if there’s a good deal arranged, it could bounce back,” he adds - so it’s worth keeping an eye on exchange rates leading up to the time you want to purchase currency.